The season is now upon us. This week we start the schedule with the Painseville RIverside Rumble. This is the 9th annual edition of this pool tournament. We have been involved in it from the start. There are 16 teams and these are the same as last year; Benedictine, Brush, Cleveland Heights, Conneaut, Ashtabula Edgewood, Marion Elgin, Girard, Jefferson, Youngstown Liberty, Gahanna Lincoln, Perry, RIverside, West Branch. Two new teams were added this year with Kirtland and Lorain Southview. The tournament format is a 16 wrestler pool divided into 4 four-wrestler pools. Three rounds of pool competition will be wrestled on Friday beginning at 4:30 PM. Weigh-ins will be at 2:30 PM and we get an extra pound because of another team wrestling the night before. The top two placers in each pool qualify for the 8 wrestler double elimination championship bracket tournament to be contested on Saturday. 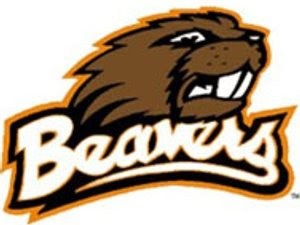 The third and fourth place finishers in each pool qualify for the 8 wrestler single elimination Beaver Consolation bracket tournament to be contested on Saturday. Wrestling should end between 9:30-10:00 PM on Friday. *In the event that the tournament is snowed out on Friday, the tournament will be held on Saturday and Sunday.